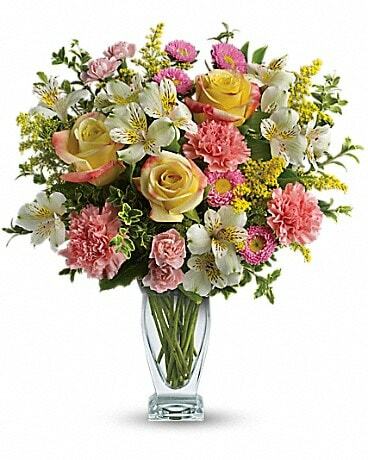 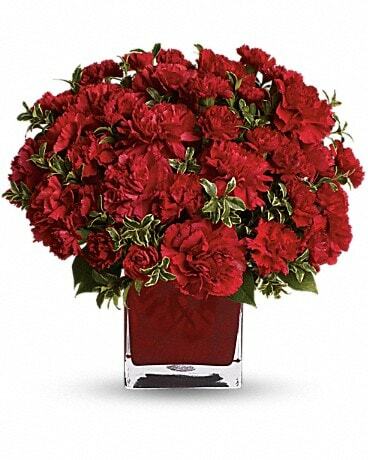 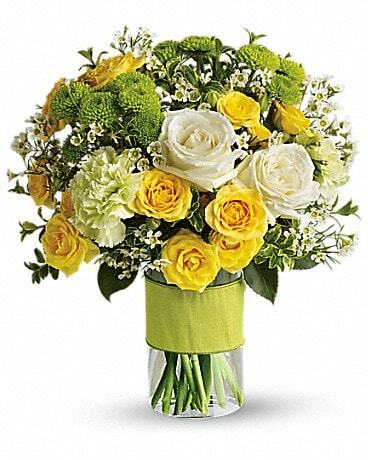 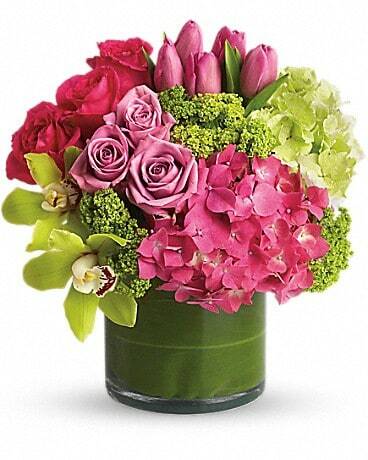 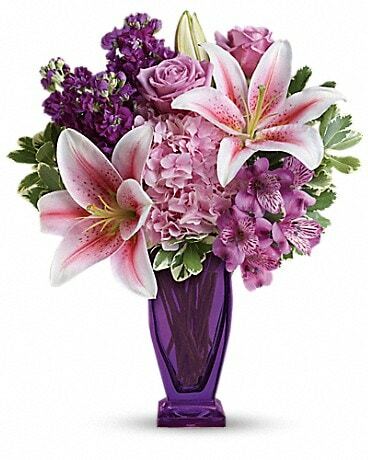 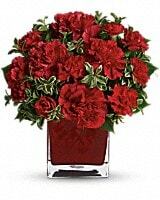 Send this bouquet of vibrant red carnations to your sweetheart and you will convey energy, desire and passion. 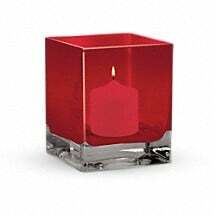 Simply speaking, red means romance. 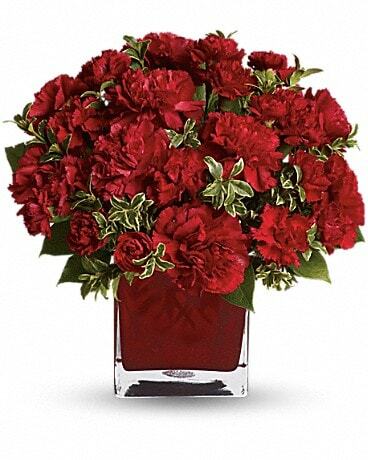 A mix of red carnations and red miniature carnations delivered in a red glass cube vase.